The author masterfully crafts a page-turning tale that will truly excite readers all over the world. “The Burning” is a young adult science fiction novel that emphasizes how true friendships can be helpful especially in times of crisis. This masterfully written novel highlights the importance and power of friendship through the ups, downs, and challenges of life. After a break from writing, Patrick Jean-Paul treats fans of science fiction and dystopian-themed stories in this read-worthy novel. 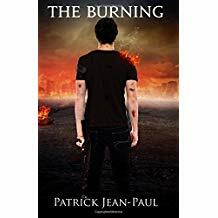 Set in a dystopian world, “The Burning” presents an exciting story about a group of friends’ fight for survival when an apocalyptic event suddenly hits the earth. What started out as a great summer day ended in a disaster for Lance and his friends as well as the entire world. The world descends into chaos after the Sun releases a solar flare that burns the atmosphere and destroys all electronic devices. Because of this, billions of people are killed because of solar radiation while the extreme heat burns homes and dries up plant life. In their search for safety, Lance, along with his friends, Nate, Eric, Cassie, Jeremy, and Ethan, finds solace in their neighbor, Mr. Jenkins. However, in a twist of fate, when their visionary doomsday prepper becomes embroiled in a struggle with local gangs, they’re left on their own with more trouble ahead of them. Along their journey to find safety, they ended up being captured by a group called Sanctuary. When they discover the truth behind the Sanctuary, there strength and determination helps them survive. Ultimately, this masterfully written novel highlights the importance and power of friendship through the ups, downs, and challenges of life. Discover what happens to Lance and his friends and experience every twist and turns through every chapter in this page-turning novel. “The Burning” takes part in the upcoming 2018 Frankfurt International Book Fair. Happening on October 10-14, 2018, this much-anticipated book fair will feature thousands of books and titles from different genres. Therefore, it’s an affair that’s worth checking out! Patrick Jean-Paul was born on the Caribbean island of Haiti. He immigrated to the United States in the mid-eighties, where he settled with his parents in New York City. He began his writing career as a screenwriter in 2000, where he wrote “The Impaler” mystery and “Die by The Sword” screenplays. After completing five screenplays, he took a hiatus from writing until deciding to write “The Burning.” He also recently completed the comedy screenplay Rideshare.